Delicate and pretty! 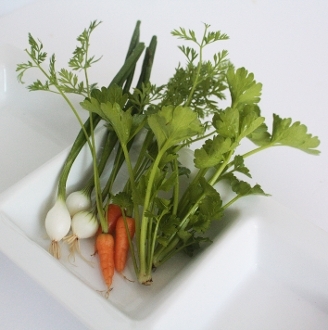 Traditional French base for cooking, which includes Tiny Veggies™ Celery, Tiny Veggies™ Onions and Tiny Veggies™ Carrots. Add to any dish as a side or top poultry and meat. Float on soups or make a fresh or grilled crudite platter.